US 50 west to left on CR 750 E.
Perfect mini-farm!! 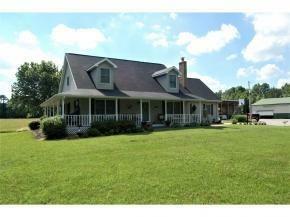 Nicely maintained and updated cape cod on 10 acres! Pole barn, equipment shed, fenced area and pasture! Geothermal heat, 3 year old roof, HUGE bedrooms, wonderful outdoor entertaining area. Hurry, hurry, HURRY! !